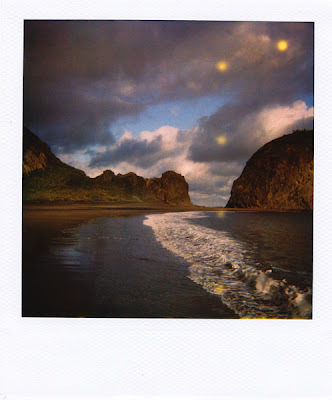 Shot at Whatipu last december - 779 film/ Polaroid one step. I love this poster, I don't have what you want to do trading for, but would like to own one of this Twilight for my pleasure. Would you please help me to get this poster?